The 5th Biennial Conference of the International Biogeography Society was held in Heraklion, Crete from January 7-11, 2011 at the Capsis Astoria Hotel, ideally situated in the city center of Irakleion (Heraklion), and adjacent to the Archaeological Museum. 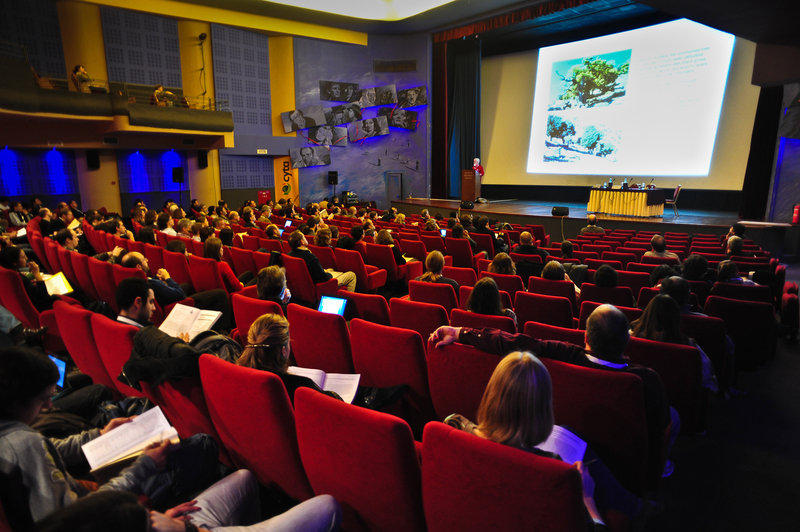 There will be six sessions of contributed papers in the following areas: Island biogeography,  Climate change biogeography,  Conservation biogeography,  Palaeoecology,  Marine biogeography, and  hot topics in Biogeography. The 2011 Alfred Russel Wallace Award Keynote Lecture by Dr. Robert Ricklefs. The Mediterranean is a highly species-rich and complex biogeographic region . It has a composite tectonic history, has experienced the impacts of human civilization for more than 8 millennia, hosts numerous islands, and exhibits remarkable topographic diversity. This symposium explores novel perspectives on Mediterranean biogeography across spatial and temporal scales. The boundaries of classic comparative phylogeography are expanding by increasing connections with new and emerging fields such as genomics, spatial information systems, climate modeling, community-scale DNA barcoding, host-parasite interactions etc. This symposium will explore innovative, integrative studies in the field, while discussing novel methodologies to circumvent current and foreseen challenges. Biogeography views nature through a large-scale lens, while ecology views nature through a lens built from local-scale evidence. Yet both disciplines focus on processes causing natural patterns and are approaching each other at intermediate spatial and temporal scales. The symposium brings together biogeographers and ecologists to discuss the shared key subjects: niche, comparative/macro-ecology, community assembly, and diversity. Different and shared conceptual domains will be addressed within and among eight talks (two per each subject), plus a synthesis. The continuous development of computing capacity and increasing data generation allow ever more sophisticated analyses, enabling novel insights about biodiversity patterns. This development depends upon continuous input from other fields in terms of methods and theory. This symposium presents the new advancements within spatial analyses, phylogenetic reconstruction, and computer simulation modeling. Spatial Analysis in Macroecology (SAM) was developed as user-friendly software to perform different types of exploratory spatial analysis and spatial modeling, which have been applied in different fields of macroecology and biogeography. It is now in its fourth version. We will briefly discuss how available techniques can be applied and interpreted, and we will provide simple examples of how to run them in SAM. We will then discuss new developments in spatial analysis implemented in the new 4.0 version, Moran’s scatterplot, Spatial Eigenvector Mapping, geographically weighted regression, Mantel test, multi-model inference, and autologistic methods. Practical classes in SAM will show how to input data and how to perform basic techniques, such as exploratory spatial autocorrelation using correlograms, basics on statistical inference, spatial correlation, and different techniques of spatial regression, including autoregressive models. Alexandre Diniz-Filho, Thiago Rangel, and Mauricio Bini have presented over 20 courses on spatial statistics in graduate courses and at conferences worldwide, using the SAM software that they developed. 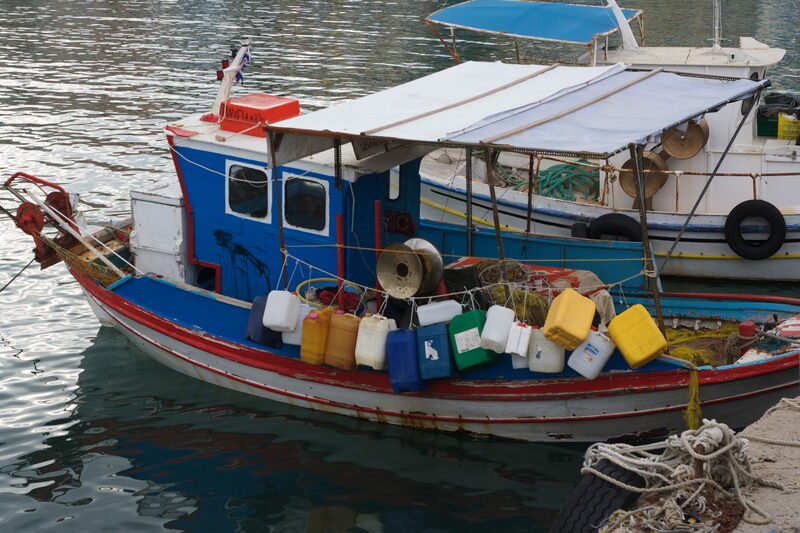 Along with Richard Field, they presented the initial tests of SAM version 2.0 and 3.0 at two very popular workshops at the 2007 and 2009 IBS meetings, and will be using the newly released SAM 4.0 in Crete. For further information, please see their guest article in the Summer 2007 issue of the IBS newsletter. A new software for Phylogenetic Analysis in Macroecology (PAM) will be launched during the 2011 IBS, in a workshop similar to those previously developed for SAM software in Tenerife and Merida. PAM has been developed in parallel to SAM and will provide a user-friendly software to perform different types of phylogenetic analysis in a macroecological context. The overall purpose is to perform comparative analyses and map to provide clues on the balance between historical and ecological processes driving diversity patterns. Analyses available will include standard phylogenetic comparative methods to measure phylogenetic signal and to correlate species’ traits, as well as mapping their outputs in assemblages distributed in geographic space (the SAM interface). Also, similar assemblage analyses will allow users to calculate several indices of phylogenetic clustering and diversity. Rob Whittaker was sole editor and then editor-in-chief of Global Ecology and Biogeography from 1995 to 2004, and has been editor-in-chief of the Journal of Biogeography since 2004. He takes a keen interest in assisting writers, particularly graduated students, to improve their ability to communicate their research through publication. Please see his article “Outreach-Communicating Our Research” in the Winter 2007 issue of the IBS newsletter. 1) “Lasithi Plateau” – Diktaion Andron (Dicteon Cave) – “Kera” Monastery. The Lasithi Plateau is one of the few areas in the Mediterranean with permanent inhabitants at an altitude of over 800 metres. Lasithi plateau is 11 kilometres on the east-west axis and 6 kilometres on the north-south – an area of 25 square kilometres. “Dikteon cave”, where Zeus was born, is also located here. There are many small villages on the plateau which maintain their traditional colour and character. The plateau is described as a plateau of 10,000 windmills. Unfortunately, most of these windmills, with crude pumping engines and iron towers of simple technology, no longer exist. Originally, the locally-constructed windmills made their appearance in the valley at the end of the 1800s. During the 1950s there were about 4,000 of the structures offering invaluable assistance to local farmers. Today, that number has been greatly reduced, depriving Lassithi of its unique identity. Exiting the Lassithi Plateau and heading towards Heraklion, there’s an area just before the village of Kera where 24 stone flour mills dating back to the 1800s once stood. They operated until the end of WWII, but today most are in various stages of ruin, with only three restored so far. Just beyond this area is the “Kera” Monastery, famous for its beautiful frescoes. 2) “Knossos” Archaeological site – “Archanes” traditional village – N. Kazantzakis Museum at “Myrtia” village – Miliarakis Winery. Knossos, also known as Labyrinth or Knossos Palace, is the largest Bronze Age archaeological site on Crete and probably the ceremonial and political centre of the Minoan civilization and culture. The palace appears as a maze of workrooms, living spaces, and store rooms close to a central square. Detailed images of Cretan life in the late Bronze Age are provided by images on the walls of this palace. It is also a tourist destination today, as it is near the main city of Heraklion and has been substantially restored by archaeologist Arthur Evans. The city of Knossos remained important through the Classical and Roman periods, but its population shifted to the new town of “Handax” (modern Heraklion) during the 9th century AD. By the 13th century, it was called “Makritichos” (long wall) the bishops of Gortyn continued to call themselves Bishops of Knossos until the 19th century. Today, the name is used only for the archaeological site situated in the suburbs of Heraklion. The Nikos Kazantzakis Museum pays tribute to the important intellectual, author, thinker, philosopher, politician and traveller Nikos Kazantzakis. The Museum is made up of a cluster of buildings in the central square of the historical village of Varvari, now known as Myrtia. The Museum Exhibition is housed on a site formerly occupied by the home of the Anemoyiannis family, which was related to Nikos Kazantzakis’ father, Kapetan Michalis. The Museum holds manuscripts and notes by the author; samples of his correspondence with major thinkers, politicians and authors of his time; first editions of his works in Greek and other languages; rare photographic material; souvenirs from his travels; personal effects; models, costumes and other material from theatre productions of his works in Greece and abroad; portraits and sculptures of the author; dozens of foreign-language editions of his works from all over the world, all a legacy that brings alive the memory of Nikos Kazatzakis and promotes his work and personality. Significant assistance was offered by Eleni Kazantzaki, the author’s second wife. Archanes is a municipality in the Irakleion Prefecture. It is also the archaeological site of an ancient Minoan settlement in central Crete. The discovery of ancient roads leading from Archanes to “Giouchtas”, “Anemospilia”, “Xeri Kara” and “Vathypetro” indicate that Archanes was an important hub in the region during Minoan times. Archaeological evidence indicates that ancient Archanes spread out over the same area as the modern town of Archanes. In 1912, Xanthoudides noted the importance of Archanes, but Sir Arthur Evans was the first to characterize the site as palatial, declaring that Archanes was likely a Summer Palace for the Knossos kings. The palace at Zakros is the fourth in terms of size, among the Minoan palaces. It was located at an advantageous strategic position, at a protected bay, and was the centre of commercial exchange with the countries of the East, as is indicated by the excavation finds (elephants’ tusks, faience, copper etc.) The palace was the administrative, religious and commercial centre, and was surrounded by the town. After its destruction, it was not rebuilt and the site was used only for cultivation. Burials have been uncovered inside caves on the slopes of the “Ravine of the Dead”, as the ravine that stretches from Epano Zakros to Kato Zakros is called. In an isolated area, the monastery looks like a castle. The monastery is known as Panagia (Virgin Mary) Akrotiriani, because it is located near the foreland of Sidero (akrotiri=foreland). It was named Toblou during the Turkish Rule because it had a cannon (top) from the Venetian Period in order to be protected by the pirates. Its contemporary form is from the 17th century, the frescos of the church indicate that it existed even in the 14th century. It is believed that the monastery was built on the site of the old monastery of Agios Isidoros. In the church, among the other icons, there is the amazing one of “Megas ei Kirie” (our great Lord) from 1770 by Ioannis Kornaros. The frescos at the north aisle are from the 14th century. The icon of Virgin Mary was found in a cave where holy water springs. It was one of the oldest monasteries in Crete. It owns a large land property in this area. During its acme, 150 monks lived here. It fetes in September 26 when a great feast takes place and many people visit it. The palm beach of Vai is one of the largest attractions of the Mediterranean island of Crete. It features the largest natural palm forest in Europe, made up of the Cretan Date Palm (Phoenix theophrasti). For tourism, Vai was discovered at the end of the 1970s by the last Hippies who fled the hot-spots Matala and Preveli. At the beginning of the 1980s Vai was full of backpacker tourists from the whole world, leading to a mixture of chaotic campground and garbage dump. Vai was enclosed and declared as a protected area. The unique forest recovered, the beach became clean. Individual Cretan Date Palms can be found in several places around Crete and at a few other sites in Greece, and a small stand is present also below Preveli monastery. Nevertheless, Vai is the only site with an extensive forest-like grove of these palms. The Irakleion Historical Museum is housed in a Neoclassical building dating to 1903 which was owned by Andreas Kalokairinos. He granted it to the Society of Cretan Historical Studies to be turned into a museum in 1952. Valuable historical relics of Crete, from the First Byzantine period (330 AD) to World War II, are displayed in an enlightening manner in its 22 rooms, covering an area of 1,500 square metres. Visitors begin their tour of the Historical Museum in the Andreas G. Kalokairinos Room, which presents an overview of Cretan history via representative exhibits from all the collections and chronological periods. The main exhibit is the 4 x 4 metre model of the city of Chandax (= Irakleion) in the mid-17th century, at the peak of its power in Venetian times. Visitors can activate forty different spotlights picking out the most important monuments. The other rooms of the Historical Museum house the Ceramics and Sculpture Collections, the rich Numismatic Collection, charting all phases of Cretan economic history from the early Christian period to the 20th century, the Byzantine and Post-Byzantine Collection, where visitors can follow the development of art and come to realise the dynamic co-existence of the native Christian Orthodox population with the Ottoman and Venetian overlords. The crowning exhibits in this section are two paintings by Domenicos Theotokopoulos: The Baptism of Christ (1567) and View of Mt. Sinai and the Monastery of St. Catherine (1570), which are the only works by the artist on display on Crete. The central market of Irakleion is located at Street 1866 starting from Meidani and moves towards Kornarou. The name of the street (Street 1866) refers to one of the greatest revolutions that liberated Crete from the Turks. The same applies to the parallel rout of 1821 street (right hand). The main market of Irakleion houses souvenirs, cheap clothes, shoes, fruits, vegetables, herbs, spices , cheese, butcher shops, and small cafes and restaurants. Moreover, near the end of the street lies the fish market. The central market of Irakleion, was once the place from where the city residents bought their everyday needs. Today, even though street markets and their neighborhoods have taken over much of the role of the central market, this market their remains a unique point of Heraklion with shops crammed next to each other, always filled with passers-by, always busy, charming, old-fashioned with cheap clothes, shoes, fruits, fish, vegetables, herbs, spices, cheeses, butcher shops, and small cafes and restaurants. Also, location and its continuous habitation has resulted in the hiding of remains of old Irakleion in between and inside the shops, such as a Venetian arch in Koudouma coffee shop, a 16th century church surrounded by buildings with an only connection through “Toulis” bakery.